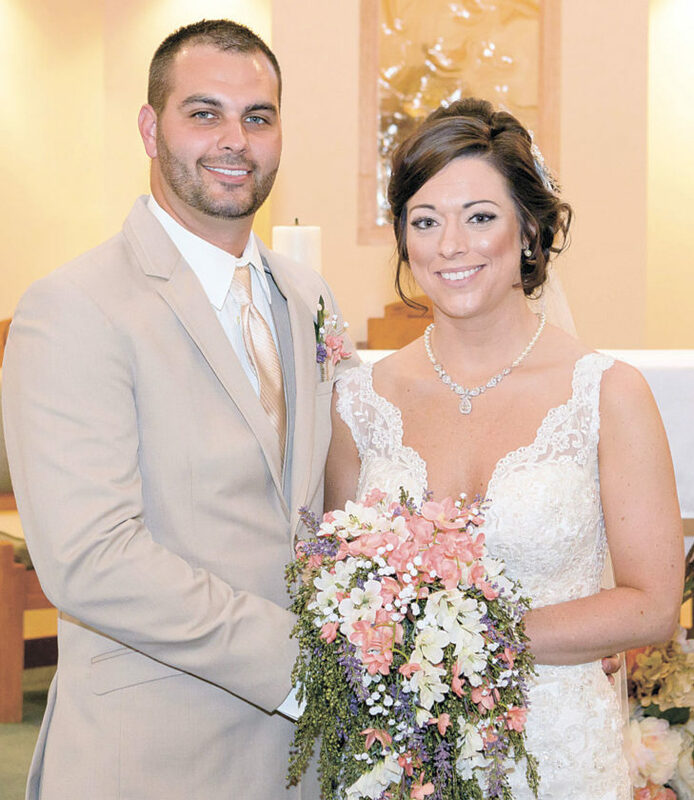 Caitlin Marie Baker and Nicholas James Gosche exchanged wedding vows in a double-ring ceremony at 1:30 p.m. June 4, 2016, at St. Patrick Church, Bascom, with Father Gary Walters officiating. A reception followed at Meadowbrook Ballroom. The bride is the daughter of Charles and Beth Baker of Kansas. The groom is the son of Joseph and Anita Gosche of New Riegel. The bride, given in marriage by her father, wore a light gold lace gown featuring a V-neckline, fit-and-flare styling and a chapel-length train. The open back was accented with beaded scalloped lace and covered buttons. She also wore a single-tier veil edged with beading and carried a bouquet of ivory, peach and lavender flowers. Bridesmaids wore peach, one-shoulder lace and chiffon, floor-length dresses and carried bouquets of baby’s breath and lavender. 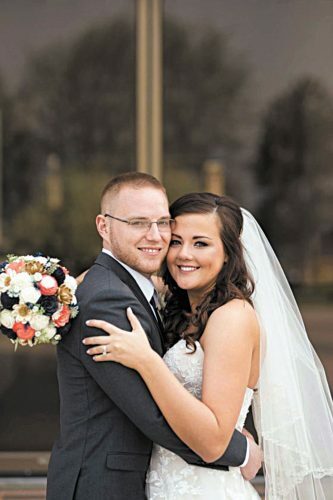 Maid of honor was Alexis Holthues of Elkhart, Indiana, friend of the bride. Bridesmaids were Lauren Stacy of Findlay, friend of the bride; Mallory Lehman of Bellefontaine, friend of the bride; Kathy Karle of Columbus, friend of the bride; Heather Hunker of Tiffin, sister of the groom; and Lindsey Baker of Fostoria, sister-in-law of the bride. Flower girl was Claire Hunker, niece of the groom, and ring bearer was Wyatt Baker, nephew of the bride. Groomsmen included best man, Andrew Reinhart of New Riegel, friend of the groom; Derek Hunker of Tiffin, brother-in-law of the groom; Quentin Baker of Fostoria, brother of the bride; Brody Baker of Fostoria, brother of the bride; Jason Kimmet of Tiffin, cousin of the groom; and Devin Tiell of Tiffin, friend of the groom. 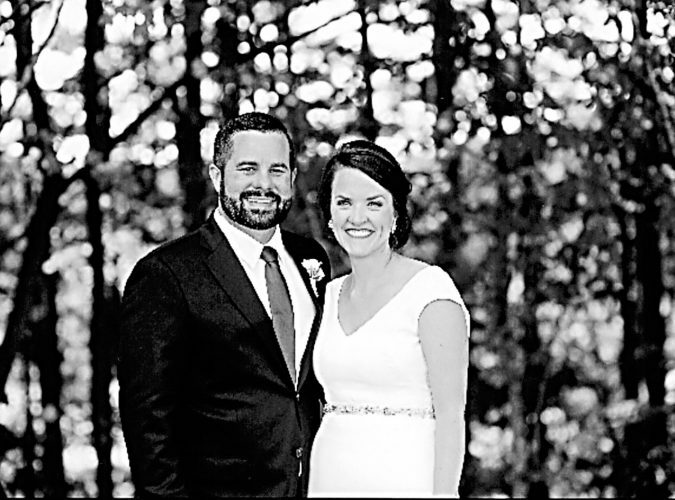 The bride, a 2008 graduate of Bettsville High School and a 2014 graduate of University of Findlay, completed a master’s degree in occupational therapy. She is an occupational therapist at P.T. Services, Tiffin. 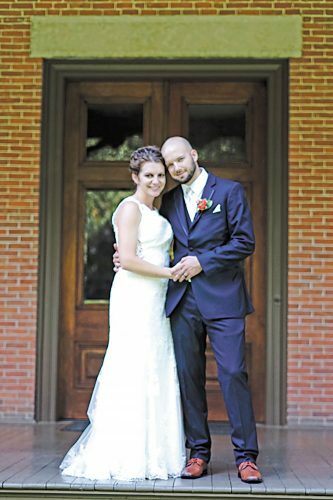 The groom graduated in 2003 from Hopewell-Loudon High School and is a firefighter and paramedic for Tiffin Fire Rescue Division. 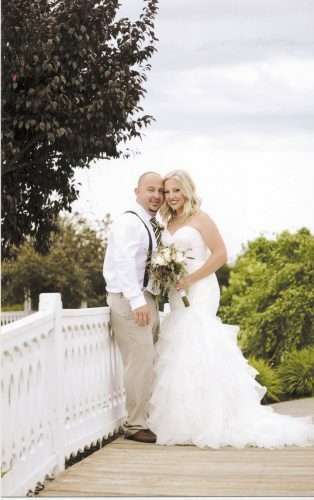 Honoring the bride with a miscellaneous shower April 16 were Lindsey Baker and Heather Hunker. A rehearsal dinner was at The Pioneer Mill in Tiffin. 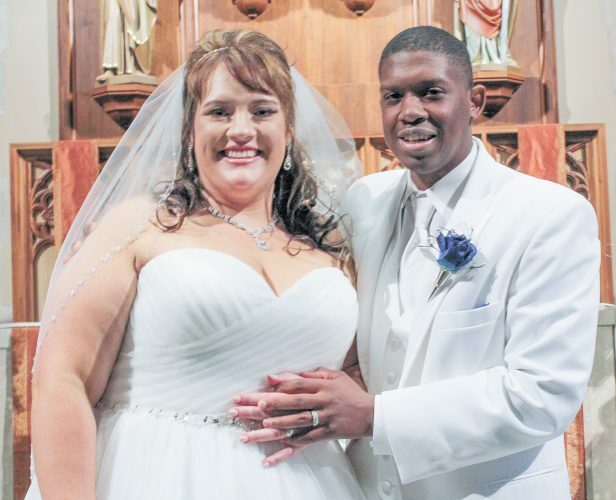 The couple resides in rural Fostoria after returning from a honeymoon in Mexico.